I use Iridology in my clinic to help me identify genetic predispositions and susceptibility to certain conditions. Iridology is the science and practice of analysing the iris, of the eye which is one of the most complex tissue structure in the human anatomy. The iris can reveal the level of constitutional strength, inherited weaknesses, state of health and the transactions that take place in our organs, glands and tissues according to the way we live our lives. This technique can show me a clients general constitution and whether their organs and tissues are inflamed toxic or under stress. Even if a client comes to me feeling well and healthy, iridology can show the areas that need to be nurtured in order to avoid health issues in the future. Prevention is always better than a cure. Accurate analysis of iris structure and pigmentation provides information that is hard to find through other methods. What can it Iridology tell me? The eyes – and the irises – are direct offshoots from the brain. Hundreds of thousands of nerve fibres make up the optic nerve and many of these end in the iris. Some iridologists say it is for this reason that the eyes – as a result of the information they receive from the brain – are like VDUs, giving an accurate representation of the state of the rest of the body. Others compare it to reflexology, in which the foot is said to be sensitive to what is happening through all the ‘zones’ of the body. When people notice an attractive person, the first thing they may notice is the other person’s eyes, often referred to the “windows of the soul”. When you look into someone’s eye’s you can often tell how the person is feeling, if they are lying, angry, ill or in love. When people are tired or not feeling well, their eyes will lack the usual sparkle or appear dull. Not only are the eyes the windows of the soul, they are also the map to our bodies. 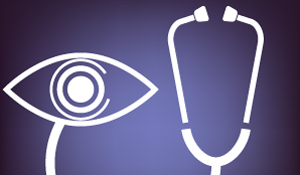 Assessing health through studying the eyes is thought to date back at least as far as ancient Greece and Hippocrates. In the 19th century, this art was revived by a Hungarian called Ignacz von Peczely. As a boy, he was said to have observed how the iris of an owl changed, first when it suffered a broken leg and then as it got better. He went on to make observations of the human iris, often being able to predict someone’s impending illness. After qualifying as a doctor, he drew up the first chart of the iris as a key to health. Peczely and those who went on to develop his work in the early years of the 20th century were ridiculed by the medical establishment but today more Iridologists work in the medical profession than in complimentary therapy.